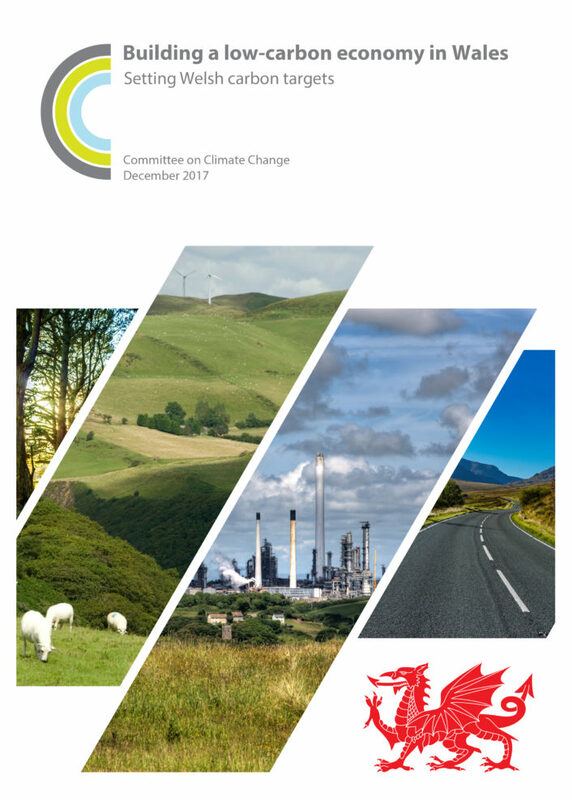 This report advises on the level at which Welsh interim carbon targets and Welsh carbon budgets should be set. It comes in response to a request from the Welsh Government to the Committee for independent advice on these targets. 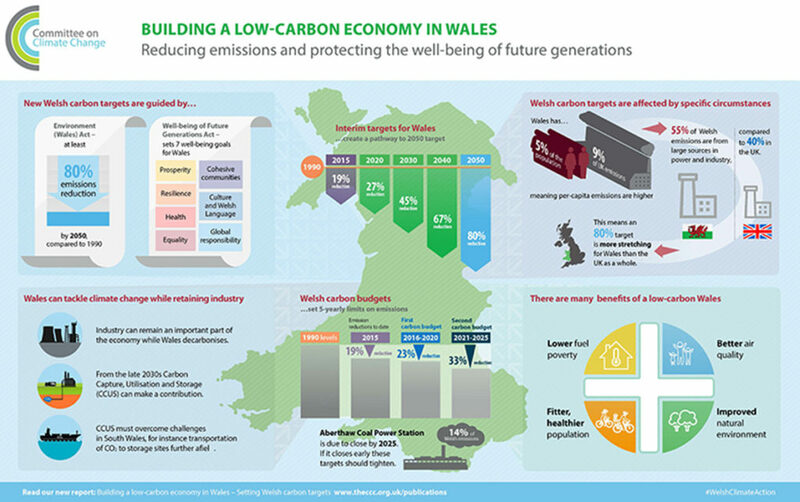 The Committee’s advice takes into account specific factors relating to the Welsh economy and its sources of emissions. The report was updated on 14 February 2018 to correct an arithmetic error in the original version. This relates to the recommended emissions reduction target for 2020 if the Aberthaw power station closes before 2020, and to the recommended level of the first carbon budget in the case that Aberthaw closes before 2018. The level of the 2020 target if Aberthaw closes before 2020 was previously stated as -34%. This has been corrected to -32%. The level of the first carbon budget if Aberthaw closes in 2018 was previously stated as -26%. This has been corrected to -25%. All versions of the report published on this page are up to date. A 2020 target for an emissions reduction of 27% on 1990 levels. A 2030 target for an emissions reduction of 45% on 1990 levels. A 2040 target for an emissions reduction of 67% on 1990 levels. First carbon budget (2016-20). Emissions are limited to an average of 23% below 1990 emissions. Second carbon budget (2021-25). Emissions are limited to an average of 33% below 1990 emissions. The following infographics (one in English, one in Welsh) show the key messages from the report. Click here to download the English infographic in higher resolution. Click here to download the Welsh infographic in higher resolution.